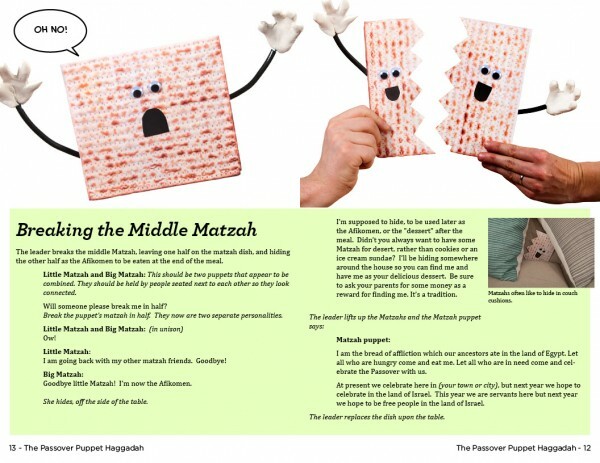 There are only a few hours left to prepare for Passover, but we’ve stumbled upon a fun little project that may make it a bit easier to get ready for a last-minute Seder: The Passover Puppet Haggadah. 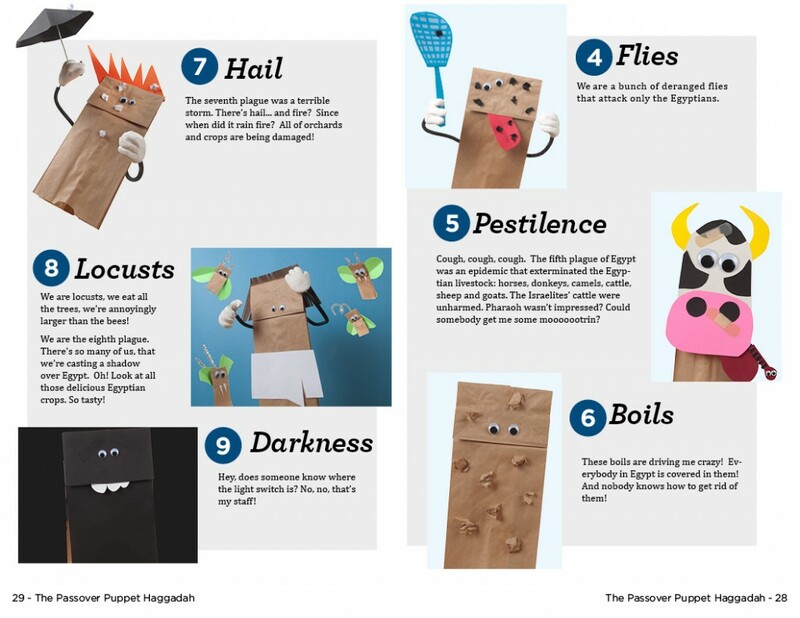 I know I know, another Haggadah and…puppets? Talk about a gimmick. But it’s free and it actually looks like a good time. I got ahold of Lee Semel who, along with brother Matt, got it into his head he should put this thing out into the world. Hear him out and take a peek at a few pages from the book below. Hi Lee! Where are you from and what do you do? I live in Manhattan and, when not working on puppets, am co-founder of an Internet startup that runs the Shorty Awards, an online competition and real-life awards show that honors the best producers of social media on all the major social networks such as Twitter, Facebook, Foursquare, Tumblr. I also co-founded Muck Rack, a site that helps people connect with journalists and see what journalists are talking about in real time. What made you want to compile a Haggadah? My brother and I would visit my parents for the Seder every year, and we felt it wasn’t being run very well. It was getting repetitive, didn’t really bring the story to life, and people weren’t paying attention. 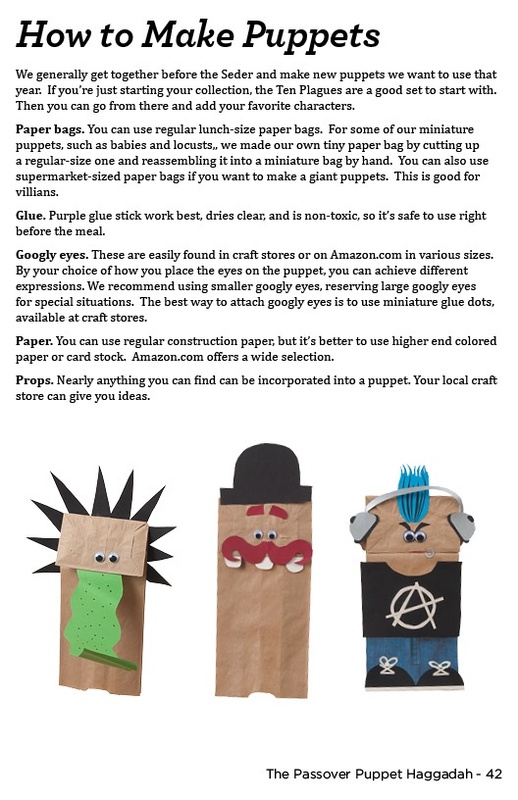 One year, sort of as a joke, we decided we’d make puppets out of the key characters, hand them out to everyone, and have them read from the Haggadah in character. This turned out to be a big hit, both at our Seder, and when we shared pictures of our seder online. When we started we originally had around ten, but over the years we kept making more until we had around sixty or seventy puppets, including some of the most minor characters mentioned in the Haggadah. After seeing how popular they were, making them into a book was the next logical step. 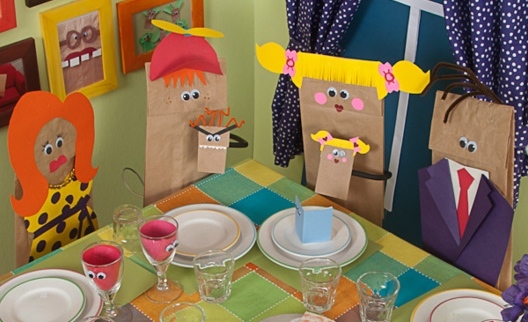 Not only are paper bag puppets easy for anyone to make, especially if you have only an hour or two before the Seder to work on them, but handing anyone a puppet has a magical way of getting them to act silly and use funny voices. Are you going to be charging for the Haggadah? The Haggadah is currently in beta test, and as with most new products in beta test mode, it’s free. Most people are fawning over Jonathan Safran Foer’s New American Haggadah (translated by Nathan Englander) right now; do you think yours is better? The New American Haggadah is a commendable improvement over the traditional Haggadah, but if Jonathan Safran Foer wants to keep people from falling asleep at his seder he might want to use some puppets. Do you think you could make a better puppet than Jonathan Safran Foer? We would love to make puppets with Jonathan Safran Foer and find out. What do you hope people who actually use puppets at the seder table will gain from the experience? We’re think that Jews both religious and secular will have a better time at their Seder. In our family, we used to rush reading through the Haggadah to get to the festive meal. In our Haggadah we parody this with the monster puppet, who constantly implores the reader to skip ahead and whines about a lack of anything to eat. Now the entire experience is both more enjoyable and more memorable. One of the Seder’s traditional themes is its focus on children, and we think our Haggadah takes that to a new level. 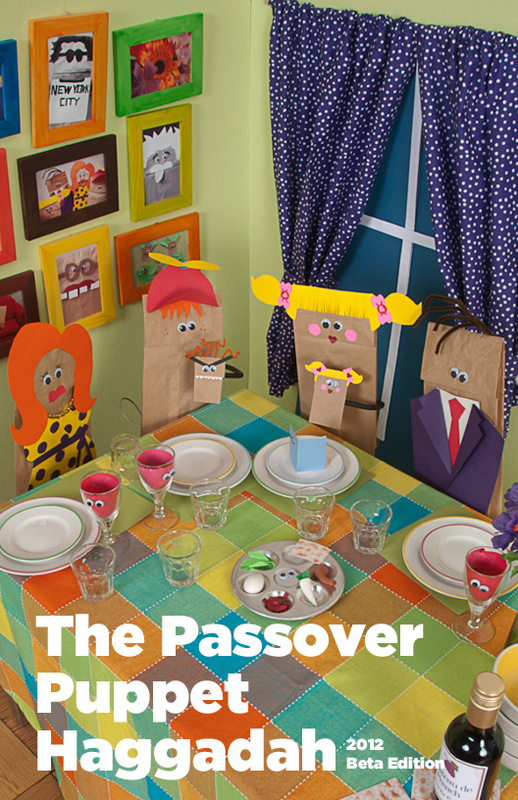 Do you think googley eyed puppets make the Passover story more believable? Googly eyes make everything more believable and fun. When can we expect the film version of the book? We’ll be holding auditions for any puppet interested in the lead role soon.